How to manage apple ID? Apple ID is the heart of Apple devices. If you have iPhone, iPad or MacBook you must need Apple ID to run this device and synchronize across all the devices. This is a similar concept to Android devices if you want to start the Android devices you need Google Account. In this tutorial, I am going to tell you about How you can Manage Apple ID. I will start by creating the Apple ID for your new Apple devices. If you want to create new Apple ID you can do it here. Here, you want to enter the basic information like email address, security questions etc. 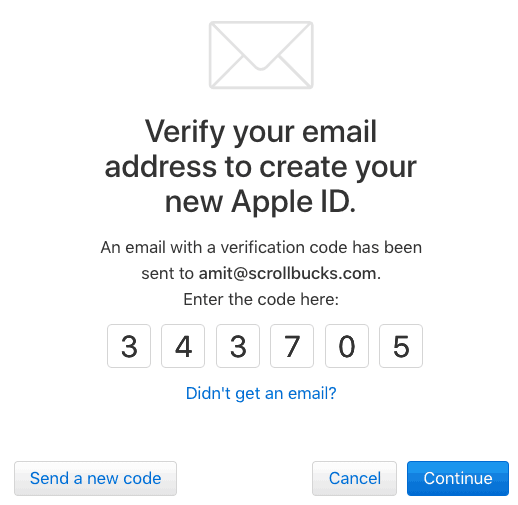 Your email address will be your Apple ID so be careful while entering the email ID. I would suggest you enter the personal email address so that you will remember it. How to sync iPhone to iTunes over WiFi (wireless)? How to erase iPhone using iCloud remotely when lost? You can change your password, security questions to recover your password when forgotten. You can add two-step verification for login. You can change payment method and shipping address. Edit your personal information like name, date of birth, etc. Once you have created Apple ID you will see the Apple Dashboard where you can manage all the things. 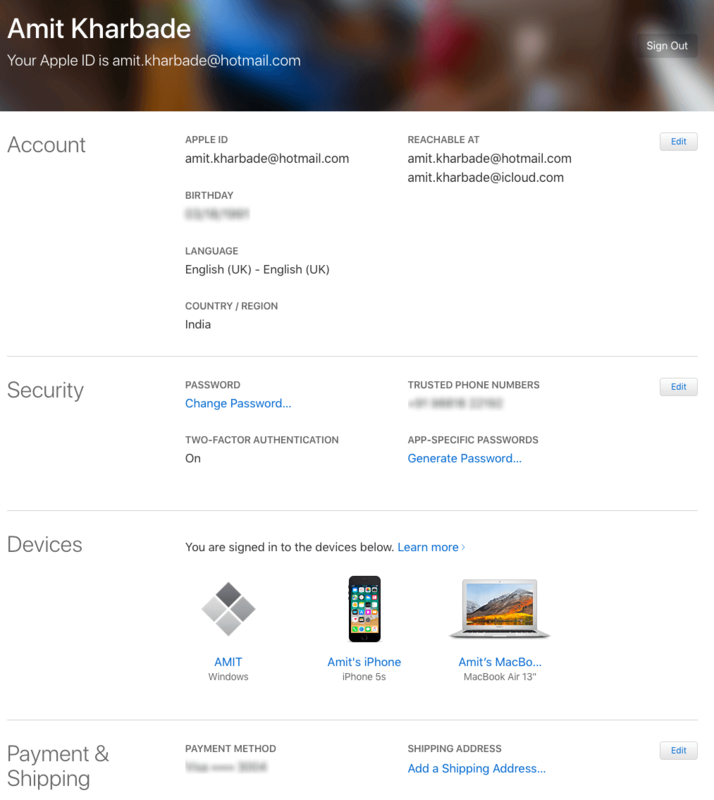 You can see below the screenshot of Apple ID dashboard, here you can manage all the stuff related to Apple ID. As you can see four sections of Account, Security, Devices, Payment & Shipping. Account- In the account section, you can manage your Apple ID and edit the personal information associated with it. Just click on the edit button, change or update what you want. Security- In this section, you can manage all the security features of Apple ID. You can change the Apple ID password, phone number and also enable the two-step verification for more security. Devices- Here, you can check the devices on which you logged on with your Apple ID. If you see any untrusted or strange device which you don’t own, you can easily remove it to avoid further unusual activities. Payment and Shipping- Handle this section very careful because if you have added the credit card for the purchase from the store, you can remove it. Also, you can add the shipping address for further communication. In this way, you can do all the operation online for your Apple identity(Apple ID). I would recommend you to use the strong password and enable the two-step verification for more security. If you like this tutorial then do share it with friends and comment if you have any queries.